It's cats and dogs coming and going. 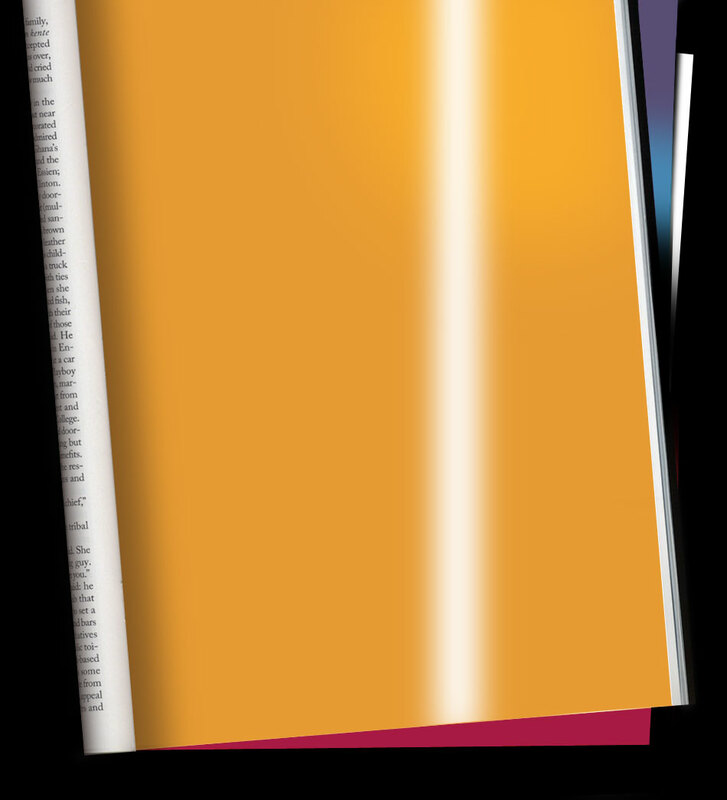 An insightful look at the American lifestyle through the eyes of those who truly run our lives—our pets! 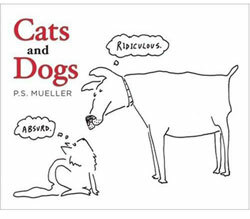 Mueller's cartoons—read about cats one way, flip the book over for dogs!—are whimsically cunning and downright hilarious, this is an LOL read for all pet lovers. 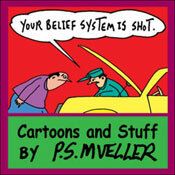 This new collection of cartoons and four short-stories zeroes in on American life with laugh-out-loud whimsy and sharpness, proving once again that P. S. Mueller is a premier chronicler of our strange times. A turn of the century collaboration between guitarist/songwriter Andy Ewen and his lyricist pal P.S. Mueller. Andy's band Honor Among Thieves was formed over twenty years ago and has gained wide praise for both their musicianship and their staunch refusal to ruin their marriages and families in pursuit of mere stardom. The documentary When the World Run Fast was released in 2004. 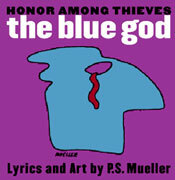 Click on the Blue God's eye to order or listen to samples.